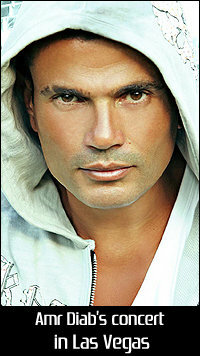 Amr Diab will be performing on October 16th in MGM Arena, Las Vegas. Wish I could attend, but my schedule does not permit. Definitely recommend!!! !